An incredibly popular people mover, the Vauxhall Zafira has long been the darling of UK motorists when it comes to finding a spacious and impressively flexible family car that's not short on style either. Better still, the Zafira is also fun if you're behind the wheel thanks to plenty of power and responsive handling. 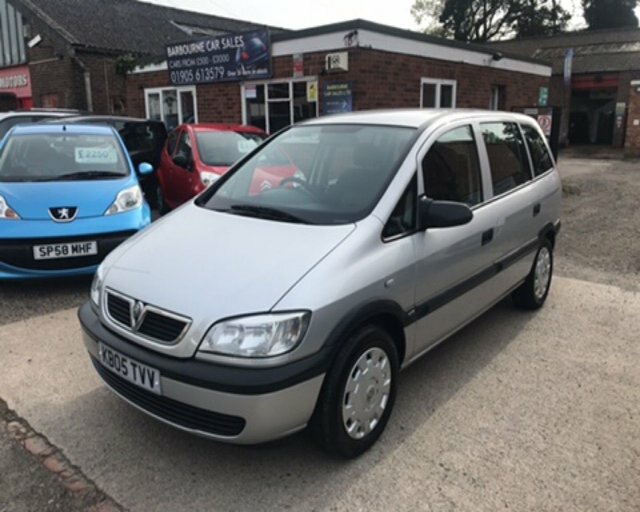 Come and experience one of the used Vauxhall Zafira models for sale in Worcester for yourself by getting behind the wheel. Arranging a test drive is simple, just contact a member of the showroom team at Barbourne Car Sales Ltd today. Rest assured we'll always go the extra mile to help you find the car that's perfect for your needs.